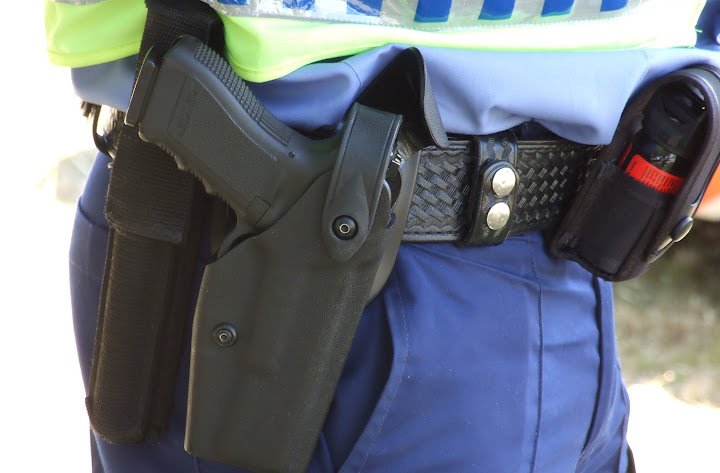 KING WILLIAM’S TOWN – A police officer was fatally wounded when he intervened in an armed robbery in the Queenstown area on Friday night even though he was off duty, Eastern Cape police said. Constable Joshua Vincent Gungqa, 44, was at a grocery shop in Cala, near Queenstown, when six armed men entered the premises and demanded money while firing shots, police said in a statement on Saturday. "An off-duty police constable [Gungqa] attached to Lady Frere SAPS [SA Police Service], who was at the store at the time of the robbery, placed himself on duty. He was fatally wounded and robbed of his state firearm." One suspect was also fatally wounded and a firearm was confiscated. An undisclosed amount of cash was taken and the suspects were still at large, the police said. Cases of murder and armed robbery had been opened. The police appealed to anyone with any information which could lead to the arrest, prosecution, and conviction of the killers to contact Warrant Officer Zamikhaya Nkampini on 071-481-2686, or the SAPS Crime Stop line 06800-10-111 or Crime Line 32211. All information received would be treated as confidential. The SAPS Eastern Cape police management expressed its condolences to the family, friends, and colleagues of Gungqa. “Our hearts go out to his loved ones and close colleagues during this difficult time. SAPS will provide all the support possible to the bereaved family,” Eastern Cape acting police commissioner Major-General Zamuthango Mki said. “We will not be deterred in our determination to fight crime. We urge community members to work with us in sharing information about crime and the whereabouts of criminals involved,” Mki said.